Are you still suffering from the inability to play the MKV file? The MKV format is the supported format by your device, but you can't play the MKV video on the device, right? If you search such problem in the search engine, you will find that this is a very common problem, such as cannot play MKV on Samsung TV, cannot play MKV on LG TV, cannot play MKV on PS4, etc. In fact, MKV is just a free and open-standard multimedia container format, what really matters is the different video & audio codecs as well as picture, subtitle tracks, etc. Excluding MKV file corruption, the main reason for MKV files cannot be played is that the default media player does not have a decoder for MKV files, so you will see "the video is unrecognized", "unable to play", " missing codecs/decoder " etc. error messages. Usually, installing the necessary MKV decoder can solve the problem, but many people will get confused or encounter other problems during the installation process. Hence, for this situation, this article recommends several free MKV players with built-in common audio and video decoder. Free HD Video Converter Factory is a popular free .mkv player that allows you to play all MKV videos. 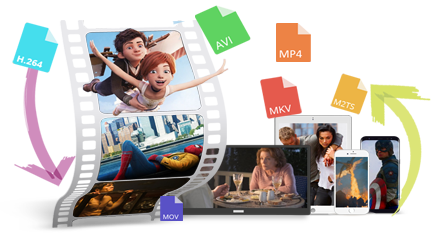 Besides, it also can be used as an MKV converter that converts MKV video to other hot video formats like MP4, AVI, MOV, etc. Download it to have a try! VLC Media Player is a hugely popular free multimedia player and framework that plays most multimedia files. VLC Media Player has excellent tools for tweaking video and audio playback, it can play most videos without extra codec packs needed including MPEG-2, MPEG-4, H.264, MKV, WebM, WMV, MP3, etc. It’s blazingly fast and it does everything without spyware, ads or anything else unnecessary. VLC Media Player can be the best MKV player among kinds of media players. MPC-HC only be available on Windows but it is a powerful video player that supports all common video and audio file formats available for playback, it even can play ISO files. MPC has built-in codecs for MPEG-2, MPEG-4, H264 video with support for subtitles and codecs for LPCM, MP2, 3GP, AC3, AAC and DTS audio. Previously, we mentioned that KMPlayer can play DAV files. 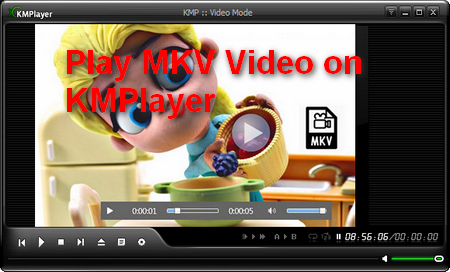 Today we will explain that KMPlayer can also play MKV files. 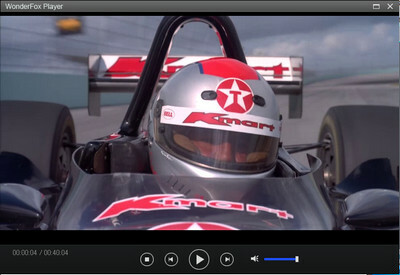 KMPlayer has its own built-in codec required for multimedia playback. Therefore, media files can be played directly without an additional codec. KMPlayer’s supported codec is divided into internal/external. It can support MPEG1, 2, AAC, WMA 7, 8, OGG for voice codec and support matrix function/normalizer function when using built-in voice codec. 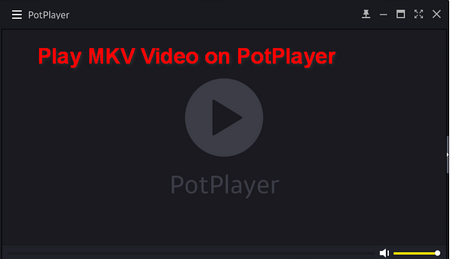 PotPlayer is based on the popular KMPlayer and created by the same team. This free media player can play any video format that you can image, and it can optimize these videos for the output device of your choice. PotPlayer is compatible with almost all formats including MKV, and it offers filters and effects to make your video clips look better. With millions of users in hundreds of countries, GOM Player is one of the most popular video players of the whole world. 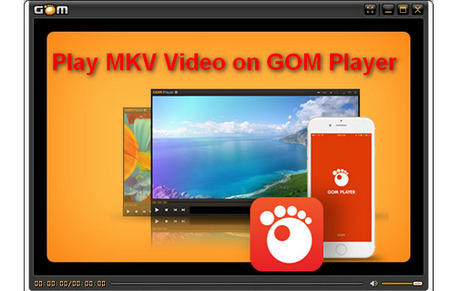 GOM Player is a good 360 video player, besides, with the built-in support for all of the most popular video and media player formats, plenty of advanced features and extreme customization as well as Codec Finder service, GOM Player will certainly meet all your playback needs. 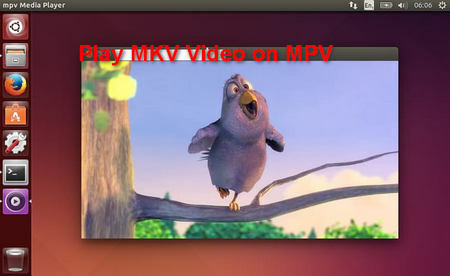 MPV is a media player based on MPlayer and MPlayer2. It supports a wide variety of video file formats, audio and video codecs, and subtitle types. MPV leverages the FFmpeg hwaccel APIs to support VDPAU, VAAPI, DXVA2, VDA and VideoToolbox video decoding acceleration. Hence, you can enjoy your MKV videos on MPV easily. IINA is born to be a modern macOS application, from its framework to user interface. 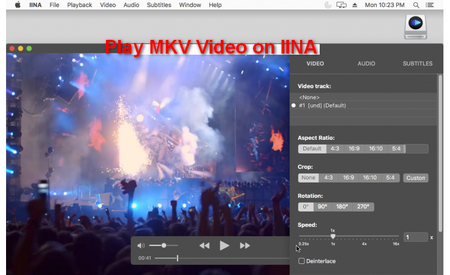 IINA takes the basic idea of VLC, an open source video player that can handle kinds of file formats and stably output high-quality video that optimized for retina screen. Still Cannot Play MKV File? You can download MediaInfo to check the MKV file has video and audio data or not. If the MKV file is encrypted, then such MKV video may need the appropriate player or permission to play. In this case, you need to submit feedback to the official support and wait for further updates or use some audio and video conversion tools to try to transcode. WonderFox MKV Video Player not only plays all your MKV videos smoothly, but also allows you to convert MKV video to AVI, MP4, MP3, WAV, iPhone X, Samsung Galaxy S9, etc. 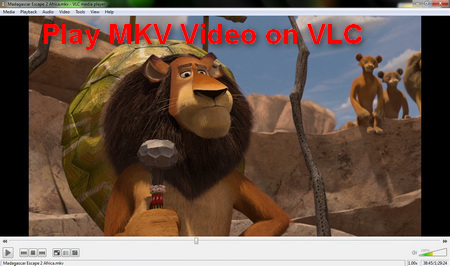 Download this software to better enjoy your MKV video.